Using the information they had heard, guests chose voice parts and joined the chorus on the risers to sing several songs. 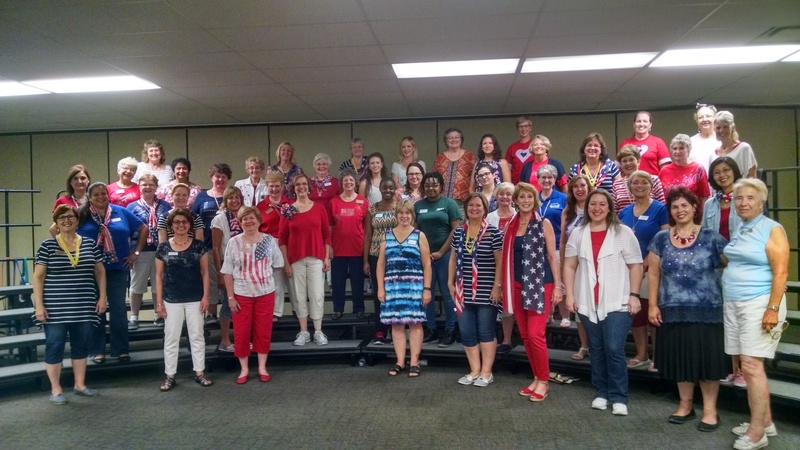 In honor of the Fourth of July holiday, chorus members dressed in red, white and blue. There were refreshments for all, and door prizes for the guests. Everyone enjoyed the evening and based on the positive feedback, we expect to see some new faces at our next rehearsal. If you missed our open house, you can visit any week. We love what we do and want to share our love of singing with you!